Office apps for iPad: iPad/iPhone Apps. In this modern world of business, taking HQ with you is becoming easier than ever before. Keep your finger firmly on the pulse of your business from virtually anywhere with the best business tools available for the iPad. From email clients to collaboration tools, you’ll never miss a beat regardless of where your work takes you. Be forewarned, you may never want to go back to your desktop again. Evernote essentially becomes an extension of your brain, and it will be your go-to solution for every bit of information that you need to keep around for future reference. Once stored in Evernote, your notes will always be with you, and easily accessible at any time. 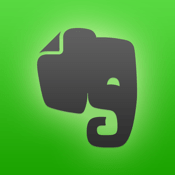 Evernote offers a free account, which is already very robust, but signing up for a premium account will give you unlimited storage and even allow you to work with a large number of file types. Typing can be a challenge for some on the iPad. Dragon Dictation is here to help you become a text input ninja on the iPad. The app follows all of the standard dictation input methods. This means that you can speak the word “period,” and it will enter a period. It’s worth your time to learn all of the different key words that can be used in this app. The text can be copied to your clipboard or emailed straight out of the app. Dragon Dictation is completely free and a wonderful addition to any iPad. 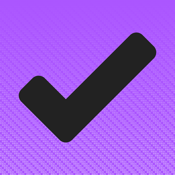 If you’re looking for the crème de la crème of task managers, download OmniFocus 2. Yes, it is on the pricier side, but it is one of the best out there. This is definitely for someone that is looking for a task manager with the “bells and whistles,” with features such as organizing tasks into projects and folders, breaking up large tasks into small steps, mapping your tasks, tracking the details of your tasks, and more. It is not for someone who is just looking for a simple task manager. 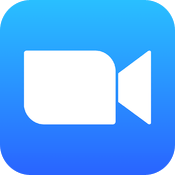 ZOOM Cloud Meetings provides a way to run online meetings right from your iPad. The meeting can support up to 25 people and allows users to screen share with others in the meeting. The app exhibits outstanding quality in the audio and video department as well. 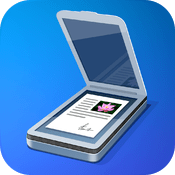 GoodReader is an excellent file manager that anyone wishing for a shared file system is going to enjoy. You are able to access a variety of storage services and unzip archived files. If that isn’t enough, GoodReader also serves as a great PDF annotator with tons of editing tools at your fingertips. 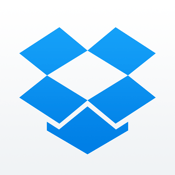 Facilitate large file transfers from virtually anywhere with Dropbox for iOS. The app allows you to sync files with your iPhone, desktop, or web accounts, and then share files via link or invite. When your important documents are over the 25MB email limit, Dropbox is the best way to ensure they get to where they’re going. During a busy work week, scanning documents can be an inefficient time-waster. 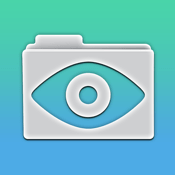 Scanner Pro is an easy, accurate way to scan a document and convert it into a .pdf using the iPad’s camera. So long as there is somewhat decent lighting, Scanner Pro’s finished product is of equal quality to the traditional methods of scanning. From there, the user can share the document with others or save it to the device, making fully executed agreements in a snap. 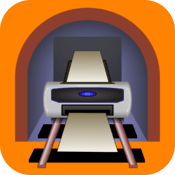 PrintCentral is a reliable utility that allows users to print from any app, straight from their iPads. All you need is a Wi-Fi, Bluetooth, USB, or Network-enabled printer, and your iPad to use PrintCentral. No additional drivers are required. You may have heard some of the hype surrounding the new Mailbox app by Orchestra that had people waiting in a virtual line to get their hands on the app. The rumors are true. Mailbox has completely rethought the way users read, process, and organize email. Swipe and tap to put an email off until later, and the email will reenter your inbox only when you’ve designated. With a clean inbox, addressing more pressing emails has never been easier. Note: Mailbox is currently only available for Gmail clients. Other platforms are coming soon. 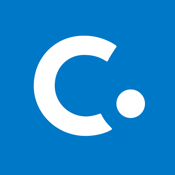 Concur is a must-have for any business traveler. Within a single app, you can manage travel bookings, record receipts, and even submit your expense report. With Concur handling the details of the trip, you can focus on the meetings at hand instead of the trip leading up to it. This entry was posted in Apps and tagged app, ipad, iphone, Office apps. Bookmark the permalink. What does ‘fitness’ mean and why does it matter? Barack Obama writes his first tweet from an iPhone.